The 2017 European Le Mans Series is set for its traditional season-opening round with the 4 Hours of Silverstone on Saturday April 15 of the Easter Bank Holiday Weekend. 35 cars will take to the grid, with 12 in the premier LMP2 class, 17 in the ever-popular LMP3 class and six in the LMGTE category, a slight reduction from 2016’s bumper grid. With G-Drive Jota Sport deciding not to defend its 2016 title, there is everything to play for in the new-look all-Gibson-powered LMP2 class. DragonSpeed returns with its new ORECA 07 and maintains its 2016 driver line-up of Henrik Hedman, Nicolas Lapierre and Ben Hanley. Joining the ORECA ranks is the G-Drive racing ORECA 07, this year driven by Memo Rojas, Ryo Hirikawa and Léo Roussel. Graff moves up to LMP2 class in 2017 with a pair of ORECA 07s. The #39 car will be driven by Eric Trouillet, Paul Petit and Enzo Guibbert. The sister #40 entry is piloted by James Allen, Franck Matelli and Richard Bradley. Three Dallara P217s will be on the grid in 2017. Racing Team Nederland has entered its #29 car with 1988 Le Mans-winner Jan Lammers and Frits Van Eerd as the drivers currently named. High Class Racing is bringing its #49 Dallara P217 with Dennis Anderson and Anders Fjordbach sharing the driving duties. Italian team Cetilar Villorba Corsa has entered the #47 Dallara. 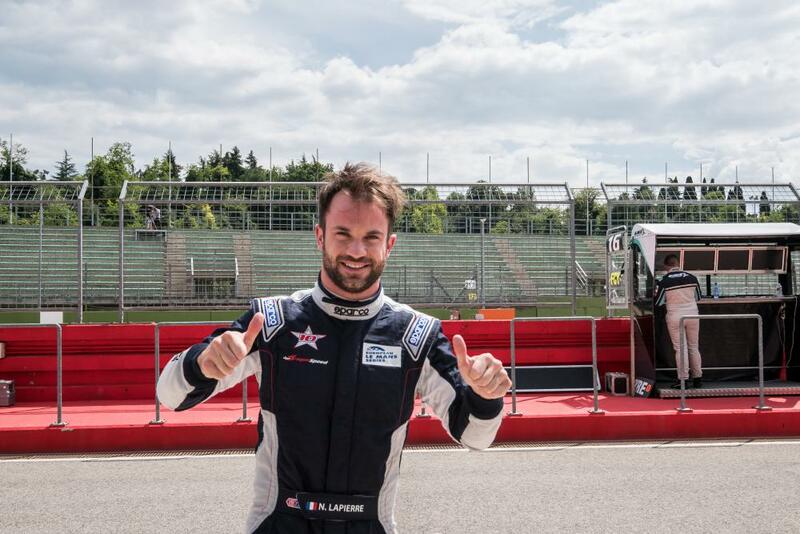 Roberto Lacorte, Giorgio Sernagiotto and Andrea Belicchi will drive. Panis-Barthez Compétition returns in LMP2 with its Ligier JSP217. For 2017 Fabien Barthez and Timothé Buret are joined by Nathanaël Berthon. Algarve Pro Racing has entered its #25 Ligier, this year driven by Andrea Roda, Matthew McMurry and Andrea Pizzitola. Patrice and Paul Lafargue also return with IDEC Sport Racing in the #28 Ligier JSP217, sharing the driving duties in 2017 with David Zollinger. After its success last year in the LMP3 class, United Autosports has entered the LMP2 category with a Ligier JSP217. William Owen, Hugo de Sadeleer and Filipe Albuquerque will pilot the #32 entry. 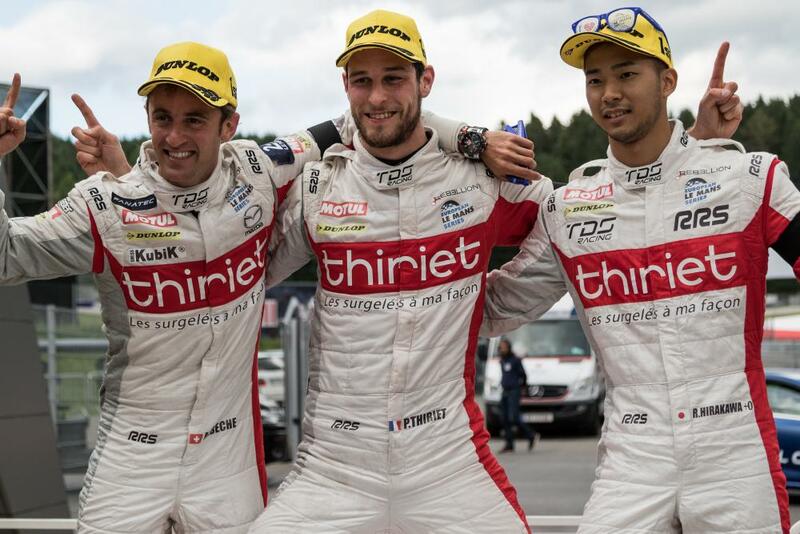 Tockwith Motorsports, who contested two rounds of the European Le Mans Series in the LMP3 class in 2016, graduate to LMP2 for the new season and completes the line-up of Ligier JSP217s. Nigel Moore and Philip Hanson will drive. The LMP3 class sees three fewer cars on the grid for 2017. Ligier again dominates the manufacturers with all but two of the class racing the Nissan-powered JS P3 chassis. There are four two-car teams on the entry list. After dominating the category in 2016, United Autosports returns with two entries. The #2 car will be driven by John Falb and Sean Rayhall with Mark Patterson, Wayne Boyd and Christian England sharing the driving duties in the sister #3 entry. Duqueine Engineering also returns with two entries. The driver line-up shares one driver who started the season with the team last year. David Droux will drive the #7 entry, sharing the driving duties with Antonin Borga and Nicolas Schaltz. The #8 entry will be piloted by Vincent Beltoise and Henry Hassid. 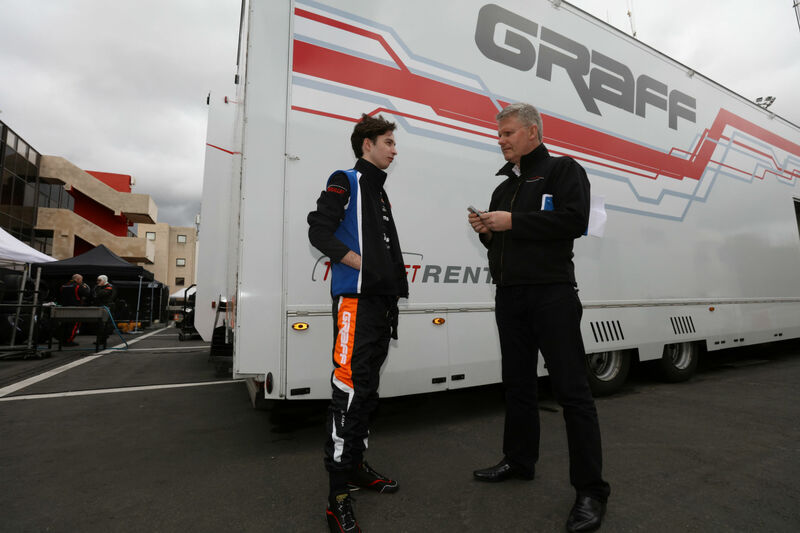 Eurointernational has two drivers returning from the season-starting line-up of 2016. Giorgio Mondini returns in the #11 entry, partnered with Davide Uboldi. Andrea Dromedari is joined by Marco Jacobini and Riccardo Dona in the #12 car. M.Racing-YMR has the distinction of entering chassis from two different manufacturers in the class. The #18 entry is its Ligier JS P3 and will be driven by Alexandra Cougnaud, Antoine Jung and Romano Ricci with the sister #19 Norma M 30 to be piloted by Yann Ehrlacher, Ricky Capo and Erwin Creed. The remaining Norma M 30 entrant is Oregon Team with its driving line-up of Davide Roda, Andres Mendez and Dario Capitiano. Eight further teams are one-car entries and all are running Ligier chassis. Cool Racing by GPC have Iradj Alexander and Gino Forgione behind the wheel. The #5 By Speed Factory car will be piloted by Tim Müller, Jürgen Krebs and Tristan Viidas. The #6 360 Racing entry has an all-British driver line-up up of Terrence Woodward, Ross Kaiser and Anthony Wells. AT Racing welcomes the Alexander Talkanitsas, Snr and Jnr, to be partnered by Mikkel Jensen in the #9 car. Inter Europol Competition returns with its #13 Ligier JS P3 with Martin Hippe joining Jakub Smiechowski behind the wheel in 2017. John Farano and Alex Kapadia join Morten Dons at RLR MSport in the #15 entry. Panis Barthez Competition are the second of two teams in 2017 with entries in both LMP2 and LMP3 categories. Its #16 entry will be driven by Eric Debard, Simon Gachet and Théo Bean. Finally, in the LMP3 class, Ultimate returns with its #17 entry driven by an unchanged line-up from twelve months ago, namely Mathieu Lahaye, Jean-Baptiste Lahaye and François Heriau. The LMGTE class is slightly smaller than 2016, with six entries on the list for the opening round of Silverstone. Two Ferrari F488 GTEs are entered by Spirit of Race with the #51 to be driven by Gianluca Roda, Giorgio Roda and ex-JMW Motorsport driver Andrea Bertolini. The sister car, the #55, has Duncan Cameron and Matt Griffin, who are also contesting the 2017 British GT Championship, alongside Aaron Scott. JMW Motorsport return with its venerable Ferrari F458 Italia, to be driven by Robert Smith, Rory Butcher and Jody Fannin. The sole Porsche entry this year is the #77 Proton Competition 911 RSR (991) with the driver line-up of Christian Reid, Joël Camathias and Matteo Cairoli. Two Aston Martin V8 Vantages will be on the grid. 2016 British GT and Michelin GT3 Le Mans Cup champions TF Sport has Salih Yoluc, Euan Hankey and Nicki Thiim behind the wheel. Returning to defend their title, Beechdean AMR is back with Andrew Howard, Ross Gunn and factory-driver Darren Turner completing the driving line-up. 10-minute qualifying sessions for the 4 Hours of Silverstone begin at 14:05 local time on Friday April 14 with the flag dropping for the start of the first round of the 2017 series on Saturday April 15 at 14:30 local time.